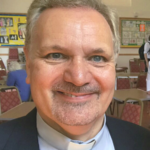 Our new Vicar is Reverend Mark Borley. or phone 020 8786 7048. Please note that the office is only open on Thursday and Friday mornings but email is checked at other times.